Congratulations for winning the March Project of the Month go to isabaltrons who created the beautiful project Nuevo comienzo (New beginning)! Every room of this two floor home has been beautifully furnished and detailed. Tonight we’re going to take you on our first-ever evening tour of of a winning project. The more subdued lighting adds a different, softer and more welcoming feeling. Come, enjoy the visit as we enter through this classic handsome foyer. It’s been challenging to select the best HomeByMe projects for February! The final votes are in and here are the 10 winning Spotlight projects. Each one has its own special appeal and there are a variety of styles. 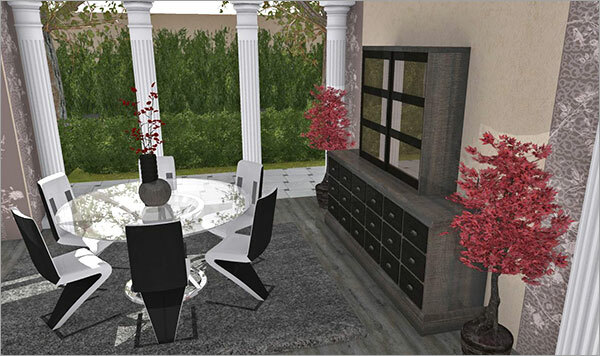 Be sure to go visit your favorite projects (just click on the image) to see the rest of the home and give them a “Like” – just click on the heart over on the left of the project page. The top four of these Spotlighted projects will be featured in the upcoming March HomeByMe Newsletter. It also treats you to the #1 Project of the Month winner, new product information, the top blogs and even extra tips and tricks. To subscribe to the newsletter, just follow the easy steps shown in the last image. One of this years popular trends is adding metallic counters to your kitchen. Metal enjoys a few additional benefits over traditional stone or granite counter tops: they are virtually indestructible, their non-porous surface creates a hygienic worktop, fear no stains with stainless steel, and they won’t get damaged by heat. 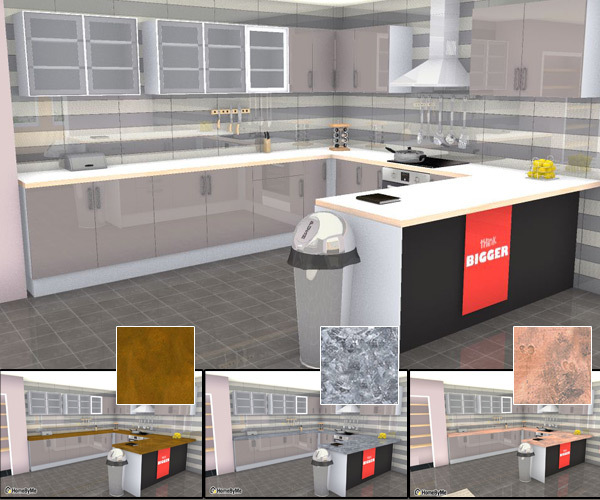 In this blog, I’m going to show you how to combine our amazing kitchen wizard with some basic shapes to open up a world of options! 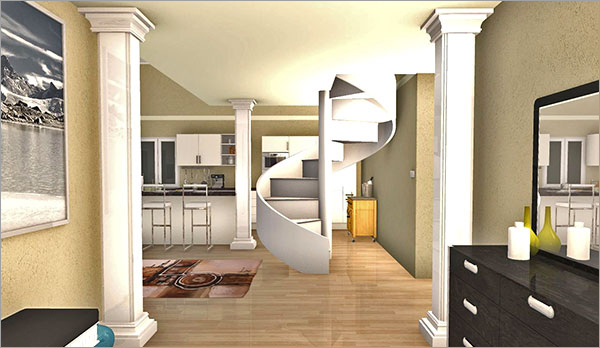 Living room – the name conjures up many possibilities. In some homes it is almost a shrine, where only the most important visitors are entertained and the kids are kept out. In other homes it is where everything happens and everyone has fun. If it’s going on, it’s going on in the living room. I’d like to think that the ten living rooms presented here are the kind where smiles come first. 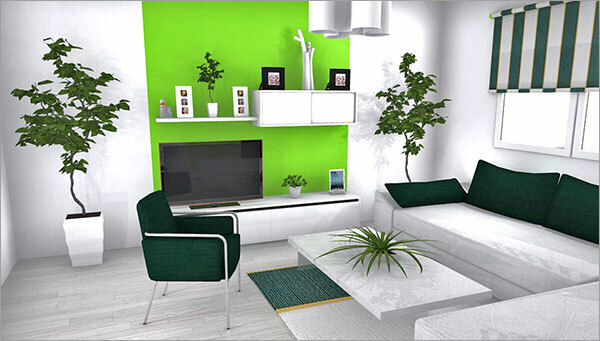 HomeByMe users deserve a lot of praise for envisioning and then creating these inviting spaces. Prepare to have fun!